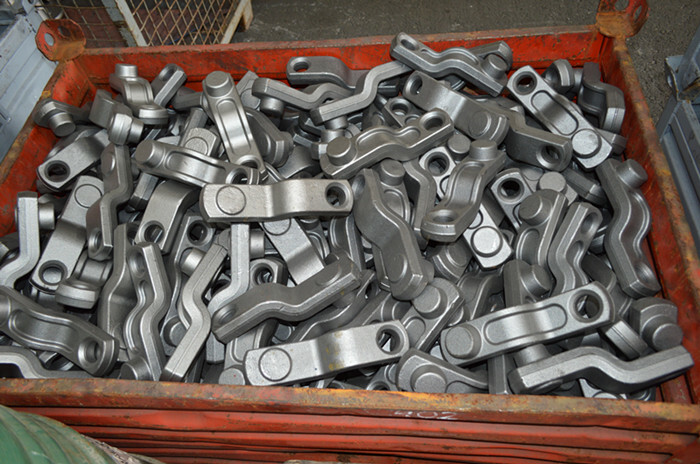 It has been a popular trend that people source precision forgings from China. This creats lots of Chinese precision forging companies and also promotes the exporting in field of forging industry. We, Ningbo Fly Drop Forge Co.,Ltd, are the leader in manufacturing precision forgings for industries like aerospace, Agriculture, Automotive, Rail, Military, Mining, Oil and Gas, Power Generation, Nuclear, Firearms, ect. Here "Precision Forging China" means precision forging components made in China. Today we would like to talk about something all related to "Precision Forging China". Precision Forging means a forging technique that can produce precision components, so it can creat net shape or near net shape products. Precision Forging offers high accuracy dimensions with perfect surface finish, which is even better than traditional forging. During this forging process, the inner grain will be refined, so strength will be added after forging. This is why precision forging is popular for industrial components. "Made in China" is now pupular for global manufacturing industry. Here we would like to talk about why people turn to China for their precision forging components. China is a developping country with a large population. So the labor cost is much lower than that of developped countries. Making precision forgings in China can help our customers to save lots of labor cost. Material cost occupies a large percentage in the unit cost of precision forging. In China, the material cost is also low. Even if sometimes the material cost is not stable, it is still competitive. Our government also supports Chinese companies to export goods to overseas market. By exporting, precision forging companies can enjoy export rebate policy. This will greatly reduce production cost of precision forgings. Why Fly Forge for Your Precision Forgings? We, Ningbo Fly Drop Forge Co.,Ltd, are a leading precision forging company with long history. We have rich experience in making precision forgings. Recent years, we are always introducing advanced facilities from other countries. We gradually using automatic machines to reduce the use of labor, which can greatly reduce production cycle and save labor cost. Thus, we can offer more competitive prices to our customer on the basis of high quality. We continously train our technical staff to learn more advanced technologies in field of precision forging. So that we can supply forgings in a preciser status to our customers. Equipped with a strong engineering team as well as full scale testing instruments, we can ensure qualified products before delivery. We are always at our customer's service, and try our best to solve any problem for our customers. We can supply full services and deliver finished components to our customers.